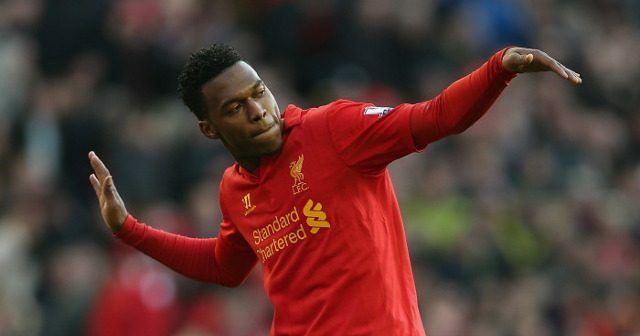 Liverpool legend Jamie Carragher has cast doubts over Daniel Sturridge’s future at the club. The former Reds defender is uncertain as to whether Sturridge remains to be in Jurgen Klopp’s long term plans given his lack of starts so far this season. Roberto Firmino has often been preferred to Daniel Sturridge as Liverpool’s most recognisable forward so far this season with Klopp keen to implement a high pressing game that many believe the Brazilian is more capable of achieving. Sturridge has scored 55 goals in 77 starts since moving to Liverpool in January 2013 but has seen his place come into question since the arrival of Klopp as manager. The England star has only started three games so far this season, however did impress in his side’s league win at Swansea after coming on as an early substitute. Carragher highlighted how a key aspect to the 26-year-old’s game might not be enough for Klopp to truly appreciate his services in the long term. There is no questioning his talent. We just hope Sturridge can eventually prove to his manager that he is valuable to this team. A goal or two against United would certainly do him no harm.